You are not alone if you are shy. There are more shy people in the world than you may think. Between 40% and 45% of people are shy and you might be amazed to realise that this includes many celebrities too. Shyness doesn’t have to stand in the way of allowing you to achieve your dreams. You may feel that you are being held back by your shyness, but it doesn’t have to be that way. 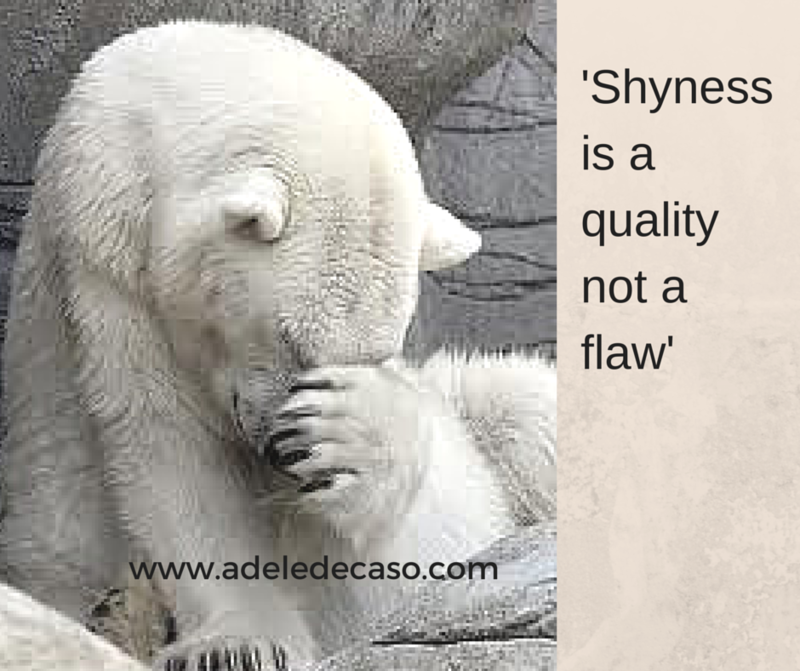 You can use your shyness to your advantage. Why not embrace it? It is always important to be yourself. You can learn to control your shyness but you never need to change who you really are. You don’t need to change your personality. I am a shy person and I used to let it stop me from doing the things that I wanted to do. I now consider myself to be successful in many different areas, but I am still me, I just learned a few new simple ideas and learned how to believe in myself. The majority are exceptional listeners. They inspire trust and confidence in people. They are very sincere and usually come across as very genuine. They are usually very polite and often sensitive. Shy people do not feel the need to be the centre of attention, in fact they would rather not be. This means that the people that they deal with on a day to day basis, whether in a social or business context, are actually made to feel special because they are the ones who are the centre of attention. When you make people feel important, they will want to be around you. So start to think of your shyness as a gift and take advantage of the positive qualities that your shyness provides you with. Here are a few things you can try right now that will make you feel more confident and a lot more comfortable when in other people’s company. Smiling makes us feel better and it makes the people we smile at feel great too. Smiling is contagious. I love the saying “If you see someone without a smile, give them yours!” Try it and see how many smiles you can give away in one day. Asking questions not only gives you something to say, but also makes the other person feel important. When you ask lots of questions, the other person is the one doing all the talking. Result! One of the things that confident people possess is a great amount of belief in themselves. You can learn to believe in yourself. Love yourself for the way you are. You are a unique individual. Focus on the qualities that you have rather than those that you feel you may be lacking in, and embrace them. Remember, when you meet people for the first time, no-one knows anything about you. They don’t know anything about your personality or what you fear. For all you know they could be just as shy as you. Gradually start to use the ideas I have mentioned and you will start to see some positive changes. Have a look at my website for more ideas about how to embrace your shyness, while you’re there, why not grab yourself free chapter from my book Shy People Can Be Successful Too!. Like my facebook page Shy People Can Be Successful Too! This entry was posted in Blog and tagged Shyness. Bookmark the permalink.